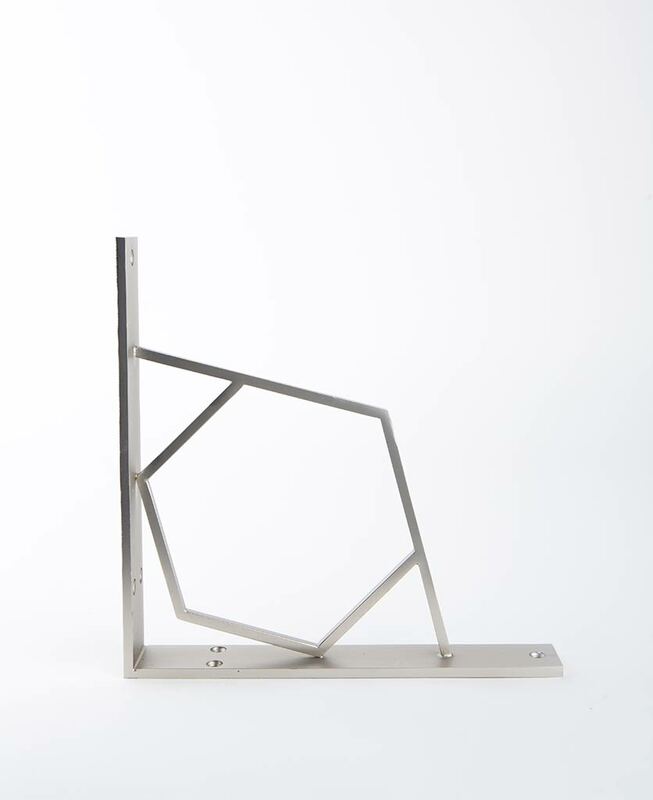 Our geometric Marlene shelf bracket is just the thing to reinvent your shelving. 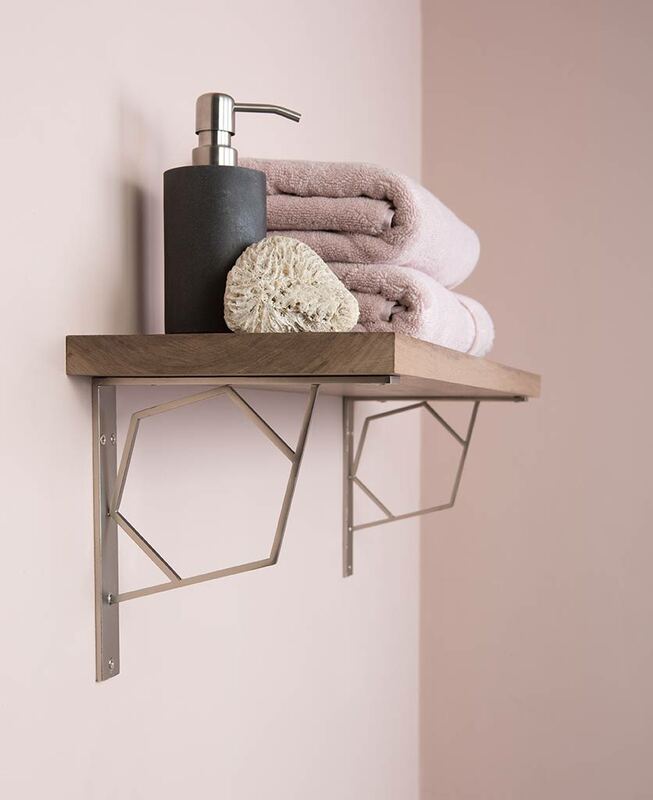 Made from robust electroplated steel and featuring a gorgeous, hexagon design, this bracket is perfect for adding texture to your Scandi-inspired spaces. 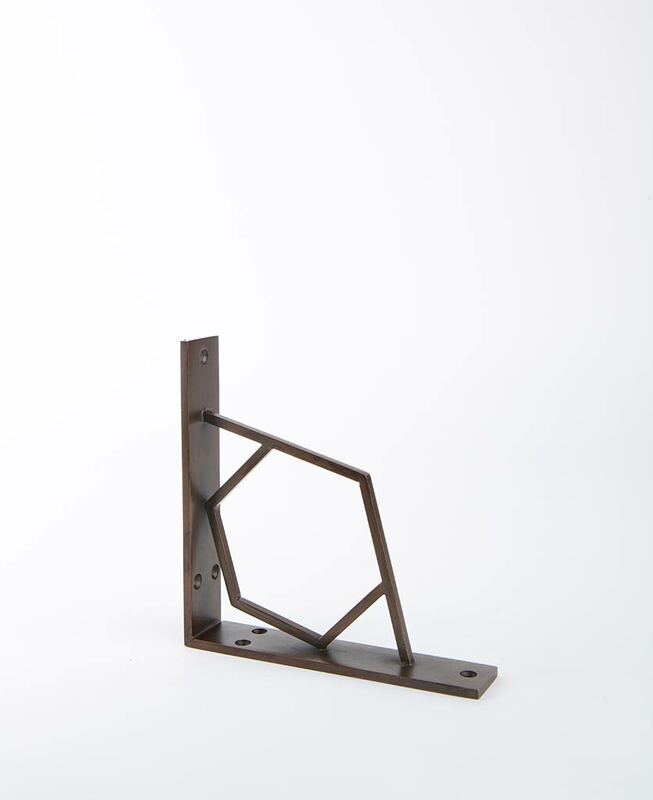 Our Marlene shelf bracket exudes 1920’s style. 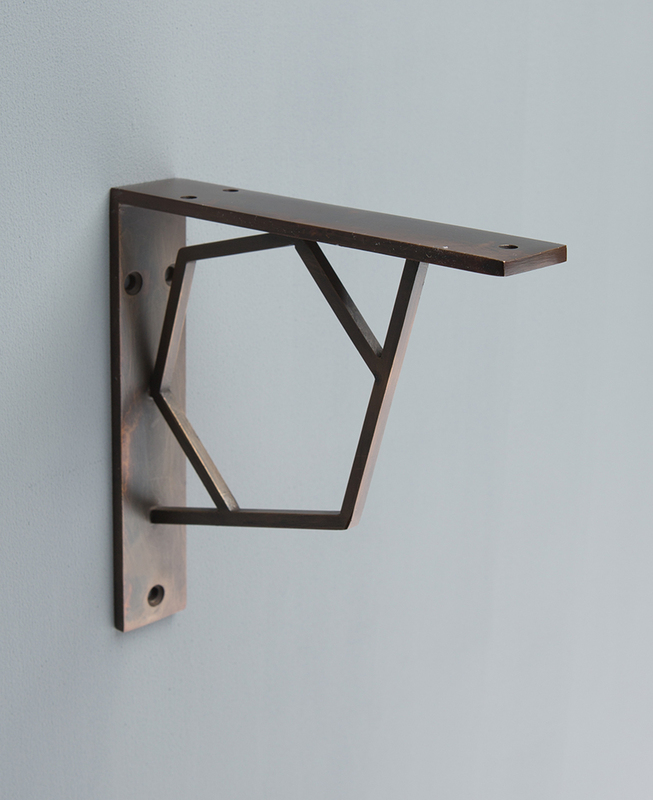 Made from solid steel and featuring a clean-lined geometric design, this is one robust bracket that will fit seamlessly into any interior style. 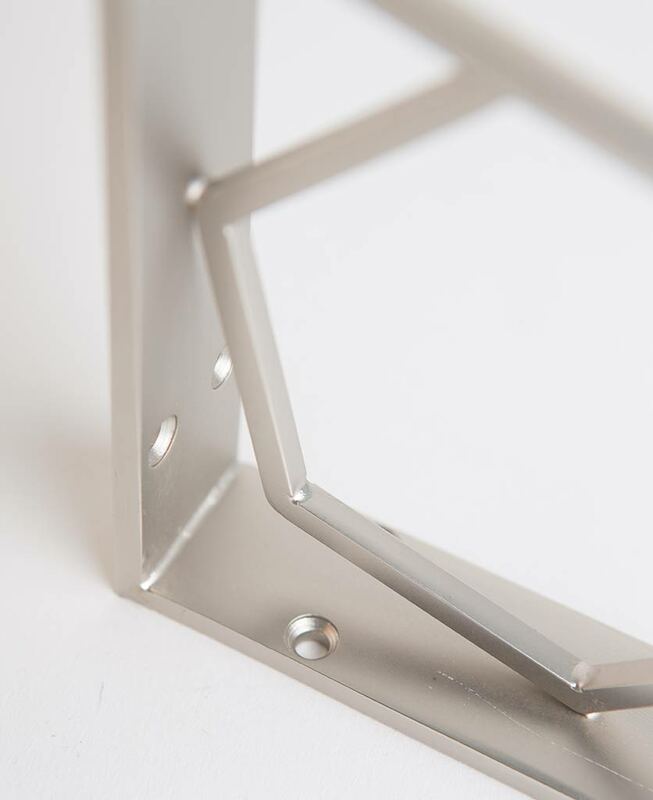 This beautiful hexagonal bracket is named after Marlene Dietrich, a German actress and singer who was renowned for continually reinventing her glamorous style. 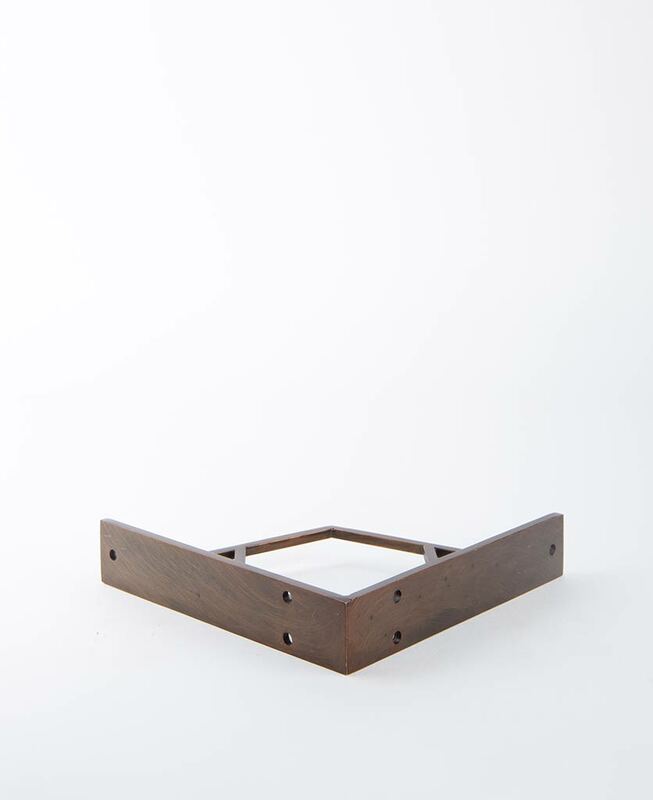 Just like its namesake, this shelf bracket brings all the beauty of the Art Deco period whilst adding a contemporary edge to your spaces. We love this wall bracket on sleek white walls where its industrial design can really be appreciated. For an uber chic office vibe, show off against matt walls and finish off the look with a piece of wood painted in the same colour for the ultimate minimalist look. Check out our exclusive paint collection for some inspiration. If minimalism isn’t your thing, offset the clean-lined bracket by pairing with a rustic piece of reclaimed wood. 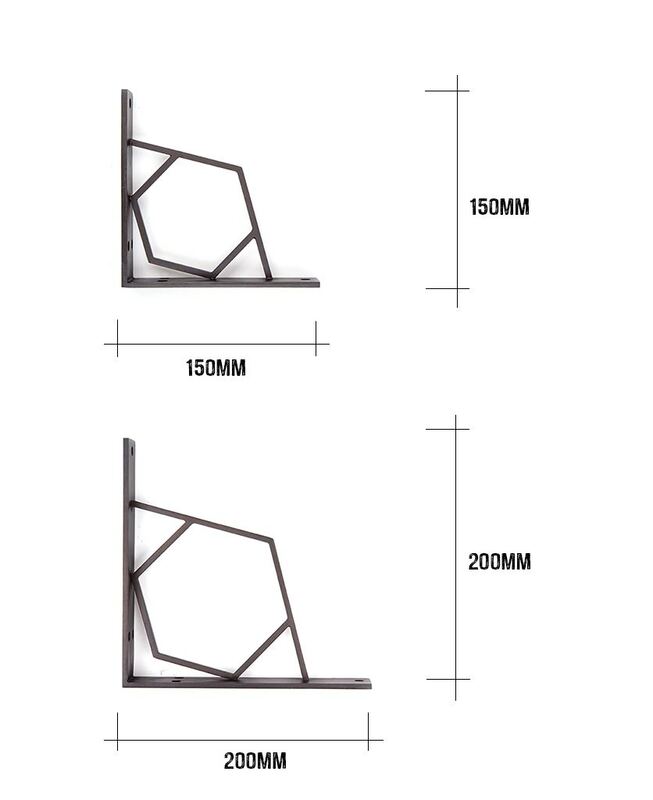 Marlene is available in two sizes: either medium or small for all your shelving needs. What’s more, we also have three finishes for you to choose from: either dull nickel, bronze or antique. There really is a bracket for everyone. Complete the look by exploring our hardware range, where you’ll find door handles, hairpin legs and beautiful switches and sockets in a plethora of finishes to suit any interior style.